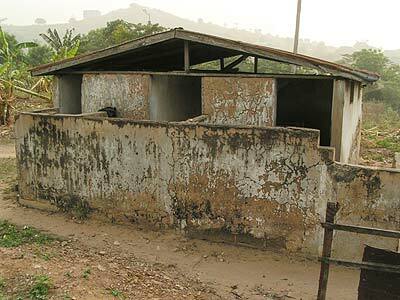 The photo to the right is the current latrine. This only delicate way to describe it is to say it's "overflowing." 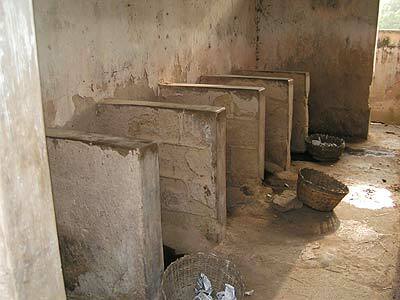 This photo shows the inside of the current latrine. Suffice it to say that the photo doesn't catch the "ambience" of being there in person.